Let me show you the “bonus track” of my list of renovated pearl earrings of this week in my blog. 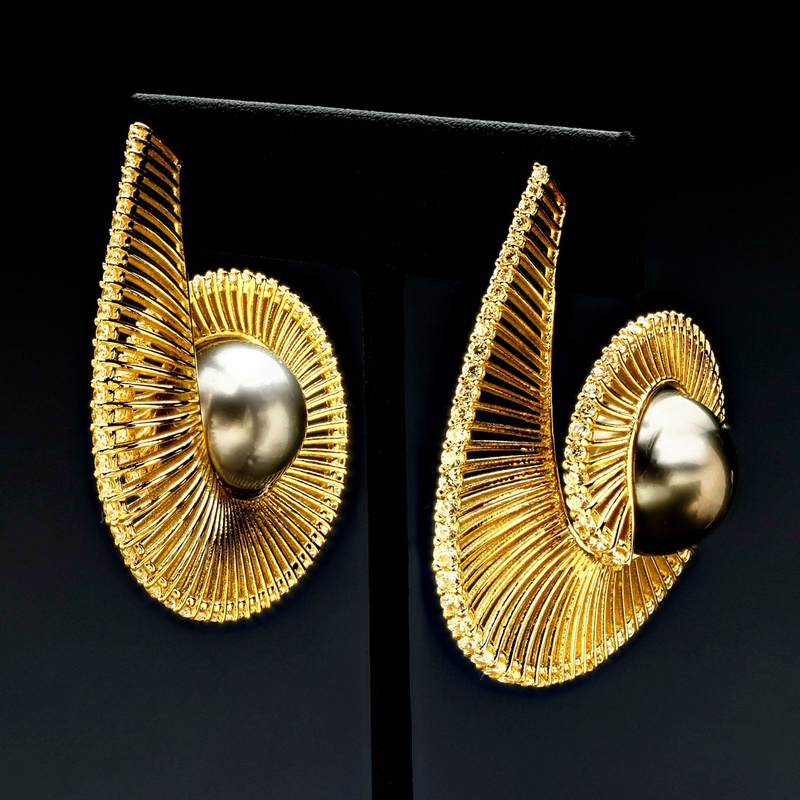 Designed by Indika Wijayarathna, and made in 18k yellow gold, diamonds and Tahitian pearls. 2016 Finalist in the Saul Bell Award. Déjame que te enseñe mi “bonus track” de mi lista de pendientes de perlas renovadas de esta semana en mi blog. Diseñados por Indika Wijayarathna y realizados con oro amarillo de 18 quilates, diamantes y perlas de Tahití. Finalista en los Premios Saul Bell 2016.